With Valentine’s Day not far off don’t forget to plan something special this year to celebrate this romantic occasion. 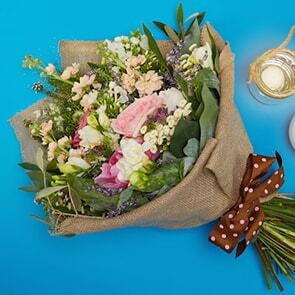 Surprise your wife, husband, girlfriend, boyfriend, partner or crush by arranging a beautiful bouquet of flowers to be delivered to their home or work address. If you are stuck for inspiration, let Bloom Magic give you a helping hand. For additional information on our Valentine’s Day bouquets, have a read through and see what arrangements have been included in our exclusive collection this year. If your loved one is not big on roses or you feel going in a different direction for Valentine’s Day this year, then our Le Printemps is the perfect bouquet for you and your recipient. Featuring delightful tulips in spring colours, this hatbox arrangement is just stunning to celebrate your commitment and love. Customise your order to the recipient’s taste by selecting the colour of the hatbox. Take your pick of charcoal grey, powder blue or blush pink. Ensure Valentine’s Day 2018 makes a lasting impression by choosing our luxuriously lavish Romance Sur la Seine hatbox bouquet. With only the best deep-red roses, this bouquet is perfect if you want to make a grand romantic gesture. The flowers are immaculately presented in a matte black hatbox that complements the deep red colour of the twenty-four roses. 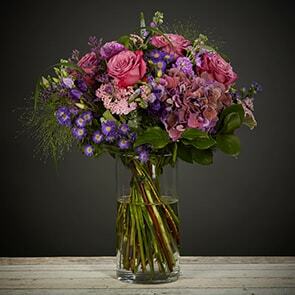 If you want to sweep your Valentine off their feet this year, then order the Romance Sur La Seine flowers now. For a florally sunny surprise this Valentine’s Day, select Bloom Magic’s Fiery Passion bouquet. With twenty mixed-colour roses with shades of red, yellow and orange, this vibrant bouquet is sure to get the passion flowing. A fun alternative to red roses, our Fiery Passion arrangement comes gorgeously presented in hessian to complement the colours in this bouquet. Make your present extra special by including a vase with your order. 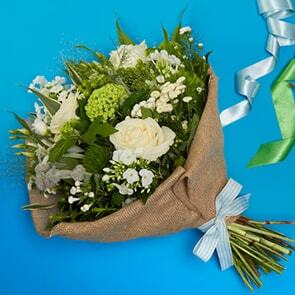 Accurately named, this bouquet is to make your Valentine’s heart skip a beat this year. Exclusively created by Bloom Magic’s florists, the Heart Stopper bouquet features shades of pink, red and white. 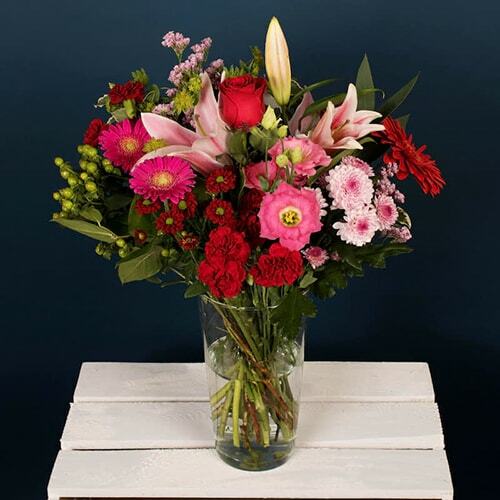 It will include a variety of different seasonal flowers, such as gerbera, lilies, roses and carnations, expertly combined with greenery to make a show-stopping bouquet that is guaranteed to brighten up your loved one’s day. Looking for a bouquet with neutral accents? Then the Soirée à l’Opéra arrangement is the one for you. This bouquet elegantly combines a mix of white, pink and red roses with gorgeous greenery for an added pop of colour. 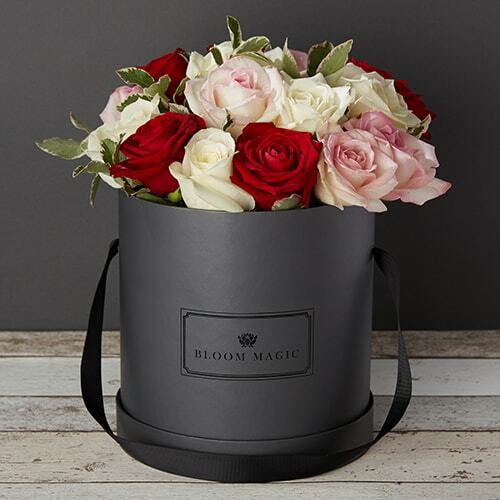 Tailor the arrangement to suit the personal style of your Valentine by selecting what colour hatbox the flowers will be presented in – choose from a matte black, blush pink or sparkling white hatbox. To see our full Valentine’s Day collection, click here. To avoid disappointment, ensure you place your order on time. 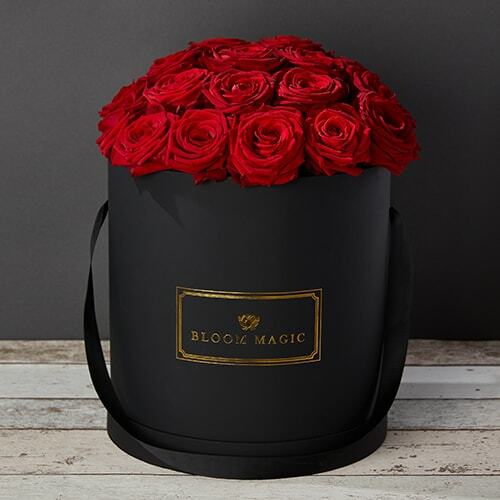 Valentine’s Day is a tremendously busy period at Bloom Magic and some arrangements are available for a limited time only.